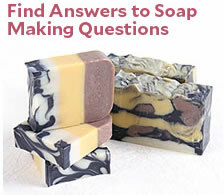 Soap supplies tend to add up fast. 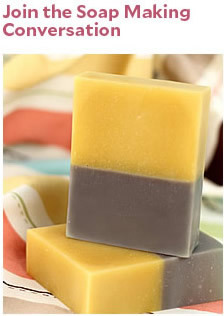 A few fragrances here, a few molds there – all of a sudden your kitchen is completely taken over. 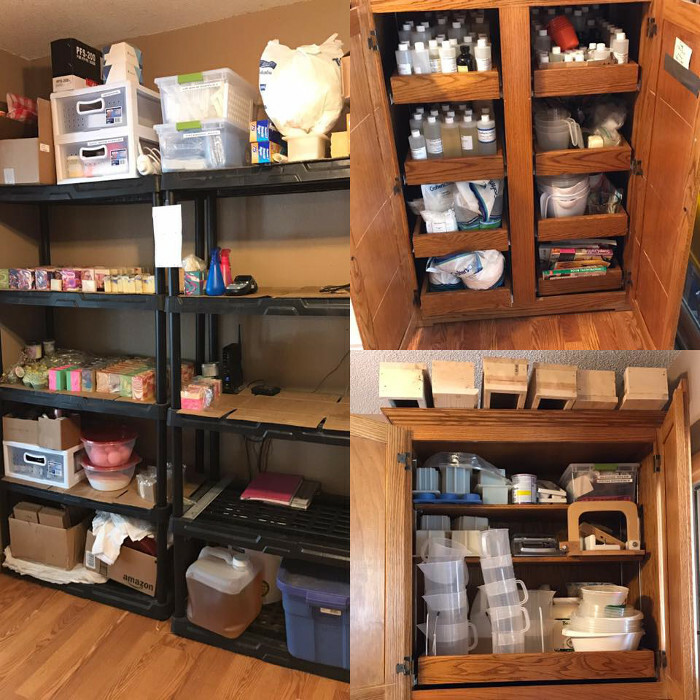 Storage is limited for many soapers, especially those just starting out. 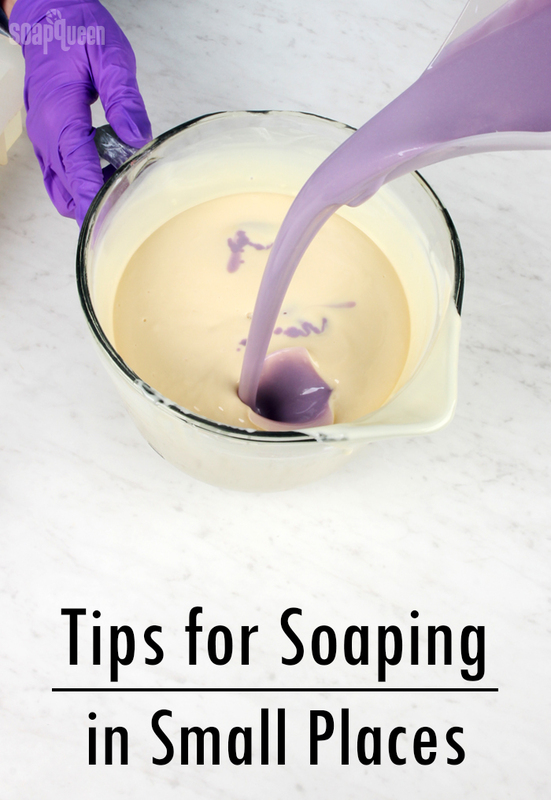 Luckily, the soapmaking community has fantastic advice for soaping in small spaces. We asked people to share their tips in a recent Facebook post and there were so many great responses. Check out some of the tips below. 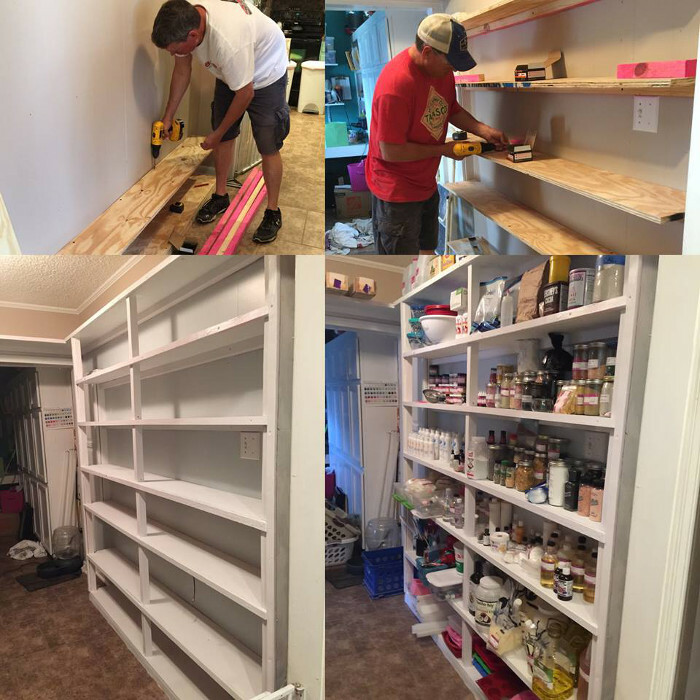 Colleen with The Old Cypress House stores her supplies on custom shelves. 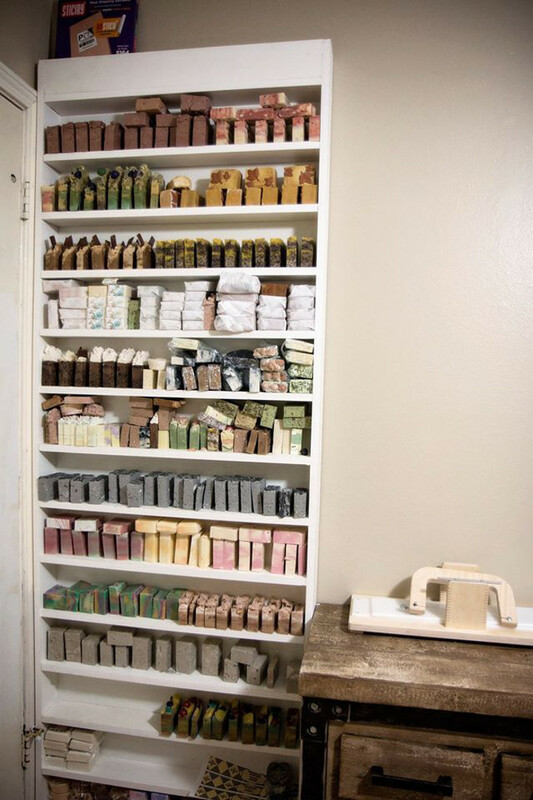 Angie with Sunshine Soaps uses several spaces in her home for supplies. Brook with Brook’s Common Scents stores her soap in shelving behind a door.